​Manchester United are closing in on the signing of Barcelona's Samuel Umtiti, with reports in Catalonia suggesting the Camp Nou hierarchy are unwilling to meet the defender's demands. The 24-year-old has become a crucial aspect of Ernesto Valverde's outfit, partnering up with Gerard Pique to create a formidable defensive line which has conceded just 13 goals in 29 LaLiga clashes this season. However, according to ​SPORT, the France international is insistent he deserves a significant pay rise in appreciation of his contribution, but the ​Barca board cannot justify the increase. I think Umtiti is trying to milk the best contract possible (which he should as he’s currently one of the best). Barca’s board must cut their losses & give in. Who negiotates for Griezmann when the best defender in the world has a 60M buy-out clause? Amateurish, as usual. 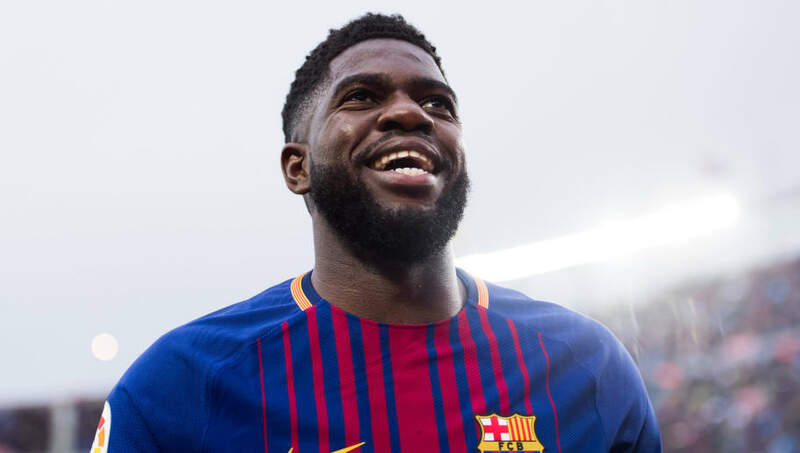 The report claims that Umtiti wants parity with the likes of Luis Suarez and Andres Iniesta, and believes he should be the second highest earner at Barcelona behind Lionel Messi. And due to the Camp Nou chiefs' unwillingness to bow to the centre back's demands, ​Manchester United are ready to step in and cater to his desires. The Cameroon-born Frenchman, as is by Spanish football law, has a release clause built into his contract at Barca, with the fee set at a reasonable £52m. The Red Devils are willing to match that magic figure this summer and will offer Umtiti £175,000-a-week to sweeten the deal. The LaLiga giants are said to be plotting a way to reach a new agreement with their defender, with president Josep Maria Bartomeu and co. keen to increase the player's buyout clause. However, should the Old Trafford contingent's lucrative offer be tabled at the conclusion of this season, the Barcelona hierarchy may have no way of counteracting the ​Premier League side's bid other than bowing to his current demands. Can You Hunt Down Player One? The final step! Who is Player One?